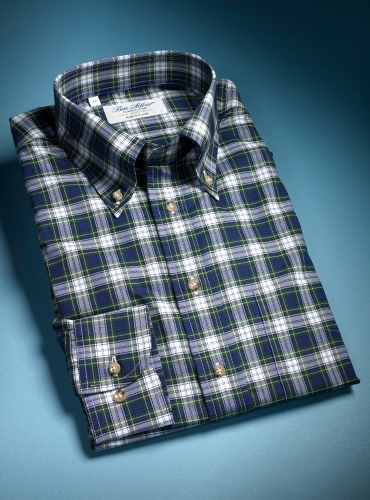 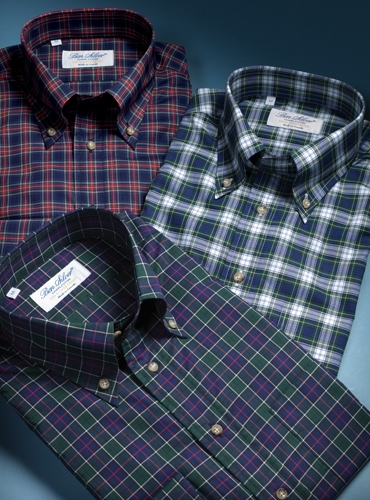 One of our classic plaid pattern pure cotton button down shirts that will carry through every weekend event. 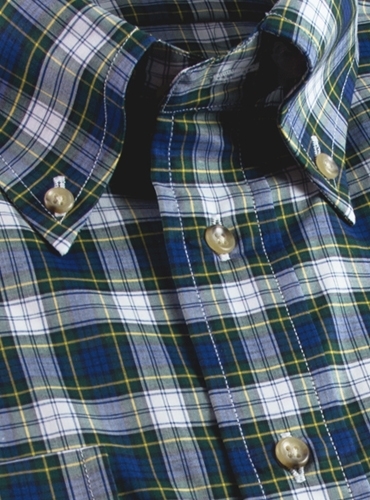 As with all of our sports shirts, finished with brown horn buttons, and in sizes M–XXL. 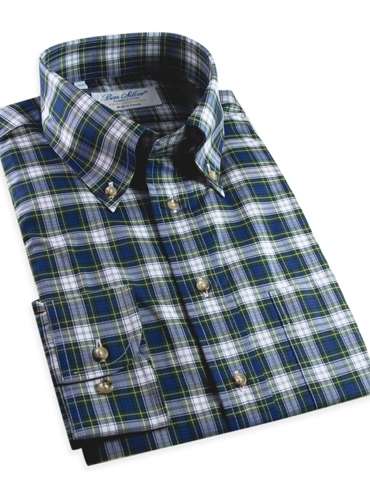 Shown here in navy, green and white plaid. 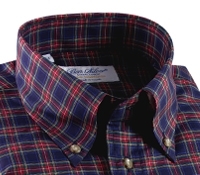 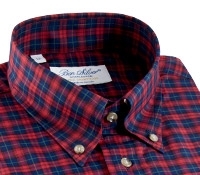 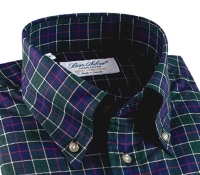 Also available: 6919-navy and red plaid; 9019-green, navy, and magenta plaid.